Greetings everyone, this podcast recorded while in Ada, OK. I’d like to share an article I wrote that was published in BIC Magazine. The published article can either be found on the magazine’s website or under Insights at www.ProActSafety.com. Greetings everyone, this podcast recorded while in Dallas, TX. I’d like to share an article Terry Mathis wrote that was published in EHS Magazine. The published article can either be found on the magazine’s website or under Insights at www.ProActSafety.com. 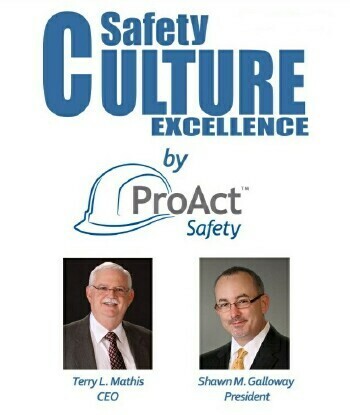 359 - How Do You Define Safety Excellence? 358 - Hands and Feet or Hearts and Minds? Greetings everyone, this podcast recorded while in Auburn Hills, MI. I’d like to share an article I wrote that was published in the August 2014 edition of BIC Magazine. The published article can either be found on the magazine’s website or under Insights at www.ProActSafety.com. Safety leaders are regularly looking for ways to improve safety, or are they? All too many leaders would settle for maintaining the status quo or managing to fail a little less this year than last. It is not that they would not like to make a truly transformational improvement in safety. They simply either don’t think it is possible or don’t have a plan to make it happen. The beginning of a transformation in safety is to quit trying to control workers and start adding value to them. Workers may sometimes be the problem but they are also the solution. Helping workers perform more safely is different than controlling them. The whole terminology of “safety controls” loses its effectiveness when it moves from conditional controls to behavioral controls. Transformation begins with winning hearts and minds over to safety excellence and providing the support to enable their efforts. Safety becomes a life ambition and not a game that needs rules to keep people from cheating. The hands and feet of workers only need to be controlled when their hearts and minds are not bought in and fully engaged in the safety effort.